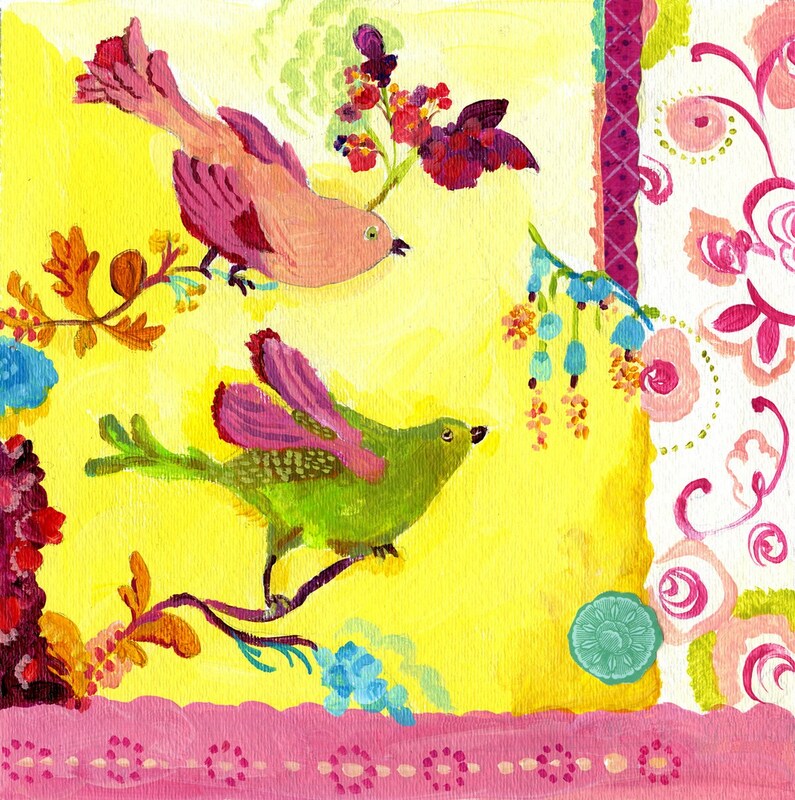 Yellow Berry Birds giclee print by Kimberly Hodges. This is companion to my Lovebirds Print. bright and beautiful! great quality!